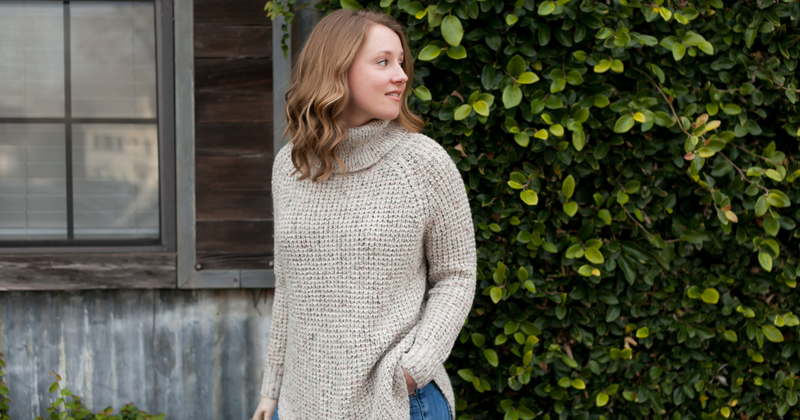 The pursuit of passions, creativity, and curiosity has been a driving force for Jennifer E. Snyder throughout her life and her career - a listen to one episode of her popular podcast, Creating Your Own Path, will make that clear. 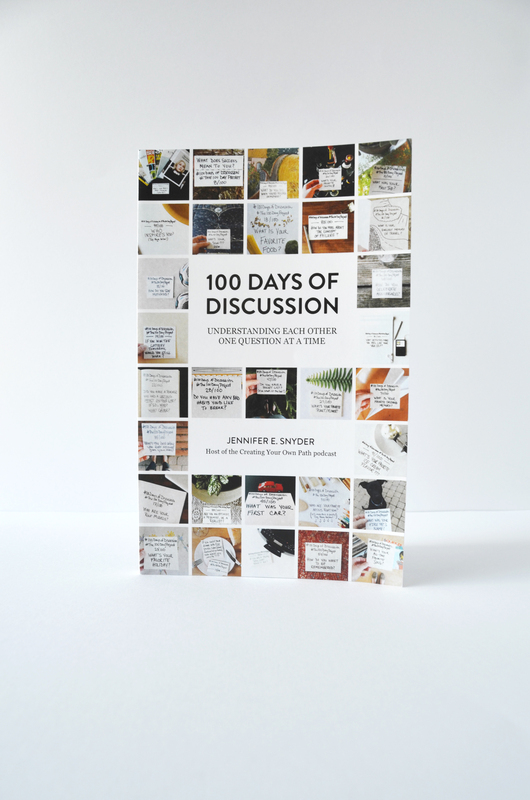 With over 100 episodes in the archives, Snyder is a podcasting veteran, but she’s not one to be satisfied with the status quo and her drive to serve as a catalyst for lively and thought-provoking conversation is evident in both the podcast and in her book, 100 Days of Discussion. 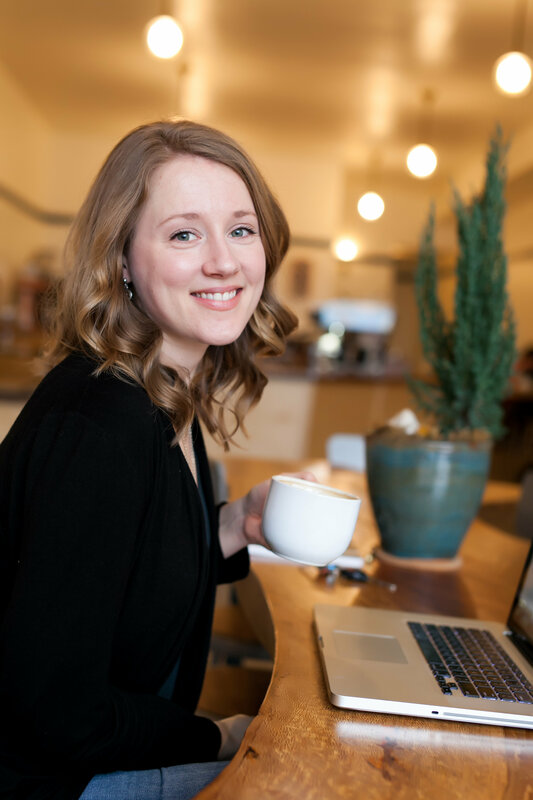 For Snyder, the impulse to launch a blog series-turned-podcast came from the desire for connection - both to other creatives whose journeys have traveled down a less predictable path, and with an audience with the same values she holds dear. Gracious, insightful, and eager to delve into the lives and stories of ordinary and extraordinary people, Snyder guides each interview skillfully. As listeners learn more about each interview subject, inherent in Snyder’s questions are parts and pieces of a curious, empathetic, and wholehearted interviewer, one who cares deeply about telling stories that will inspire, nourish, and drive creative exploration. Q: Tell us a little about yourself! Where and how did you grow up? A: I was born in Sacramento, California and grew up between Sacramento and Crescent City, California. It was an interesting way to grow up because I felt like I had access to the culture and progressive mindset of a mid-sized city (Sacramento) and also spent my formative years surrounded by the beauty found along the north coast of California (Crescent City). Looking back, I’m sure getting to experience both places impacted the way I now see the world. I can see the benefits and challenges of living close to everything you could ever want in a city and the benefits and challenges associated with living farther from that hustle and bustle. Both experiences are really unique and great in their own way. Q: Where do the roots of your passions come from? A: I think at the core of everything that lights me up is a strong pull to satisfy my curiosity. I’m constantly fascinated by the how and the why behind things. Why did someone turn down that job? What impact did that choice have on their life? How did they make other opportunities work instead? I love looking at projects, people, and ideas through the combined lens of choice, circumstance, and design—that nature versus nurture discussion is always really interesting to me and the desire to figure things out is what keeps me moving forward. Q: You put adventure and creativity on a pedestal - why are those two elements so important to you? A: I think it’s less about creativity and adventure and more about the spirit behind those elements that really lights me up. Being creative and choosing a life of adventure both come from a fairly pure place. Both acts can be incredibly freeing. They come from a place where fear may be present, but isn’t given the chance to rule. I’m really into that. Q: Your foundation is in writing - you have a degree in English and worked in marketing. How did you come to that aspect of writing? A: Honestly, I wanted to make a living! I left college knowing that I didn’t want to write books (yet) and that I didn’t want to become an English teacher. However, I needed to work. So, I started looking for jobs that would allow me to use my degree and marketing, public relations, and communications jobs were available at the time. Q: What prompted the transition away from it? A: Well, I wouldn’t say I truly moved away from it. In hindsight, it’s clear to me that all of my work up to this point has been focused on solving problems and answering questions. 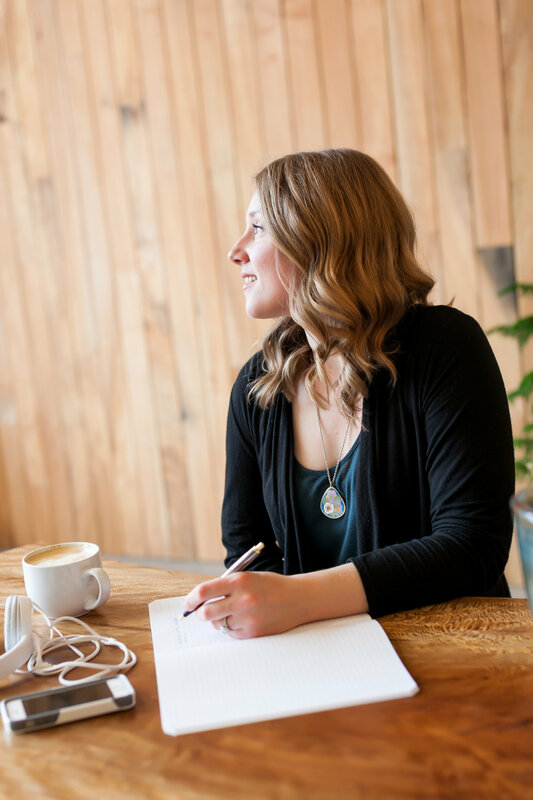 Whether we’re talking about writing a college essay about the authorial intent of famous short story writers, helping a client perfect their web copy, or writing a magazine story, I’m always asking questions first. That’s always the first step. Writing is just a medium—one of many that can be used to deliver the answers to the questions being asked or problems being solved. Q: Have you always seen yourself as a writer? A: Not necessarily. It was something that always came easily for me, but I didn’t really see writing as a potential path until college. Originally I was a psychology major and, after studying Freud over and over again, I decided to shift my focus to the English department. I’m really glad I did. Q: You launched your podcast, Creating Your Own Path, after spending a few years freelancing from home. What drove you to create something outside of your freelance writing? A: I launched Creating Your Own Path for a lot of reasons. I felt alone in my quest to build a career that was outside of the norm. I also felt somewhat disillusioned by the dream that I’d always aspired to fulfill: get good grades, go to school, get a great job, and then you’ll be set. That’s just no longer how careers work and I was struggling to reconcile the reality of how I was feeling with the straight and narrow paths that had been held up as examples for me. I wanted to highlight other, more interesting examples—not only for fellow creatives who were trying to make things work, but also for the generations that would come after us. Q: What made you decide to conduct the interviews through talk vs. written word? A: Before it was a podcast, Creating Your Own Path was a Q&A series on my blog. I would send people questions and they would send back their answers. It was great, but I wasn’t quite getting the connectivity out of it that I wanted—the conversation aspect was missing for me. So, I launch a podcast in early 2014 with the same name and haven’t looked back. Truthfully, the act of creating the show on a (mostly) consistent basis has become more of a calling card than my early freelance work ever was. It’s become an ongoing experiment, an excuse to continue reaching out to people whose work I’ve long-admired, and it’s a giant portfolio piece. Q: With such an obvious streak of curiosity and a huge and growing digital community, how do you decide on which guests you invite onto the show? A: Well, I keep my guest list narrow in that I specifically speak with guests who are working in creative fields. I try to stear clear of having “experts” on the show unless they come on as a sponsor. Creating Your Own Path is and always will be about learning from the stories of those who are just like us—people who are working to build careers around their creative skillsets. Q: What’s the thing you love most about connecting with people through your podcast - both guests and listeners? A: This might sound a bit cliche, but anytime I can create a “me too” moment for myself, guests, and listeners, I feel like I’ve succeeded. I started the podcast to feel less alone and the community that has risen up around it has shown up for me, for the guests, and for each other time and time, again. It’s pure magic and I’m grateful for that level of connectivity every day. Q: Let’s talk for a second about the massive adventure you undertook, traveling across the country to interview CYOP guests. Will you tell us where the idea came from, what it was like, and - if you can divulge - about any future plans for another trip? A: Oh, I wish! There aren’t currently any plans for another big trip, but I’d never rule it out. I’m always open to traveling for the show, for my writing, and any other opportunity that might open up. The idea for the road trip was really born out of the desire to interview guests in person. I had already been connecting with guests here in Sacramento, but I knew that if I wanted to really dive into my (very) long wish list of guests, I would need to take the show on the road. So, I started with two mini road trips—one to Los Angeles and one to Portland and Seattle—and when those went well, I knew I wanted to see if I could challenge myself to do the big solo trip across the country. It was a grueling pace, covering nearly 8,600 miles in six weeks, but it was one of the most rewarding career decisions I’ve ever made. Q: You self-published a book, 100 Days of Discussion, this year. What drove you to take on another project? 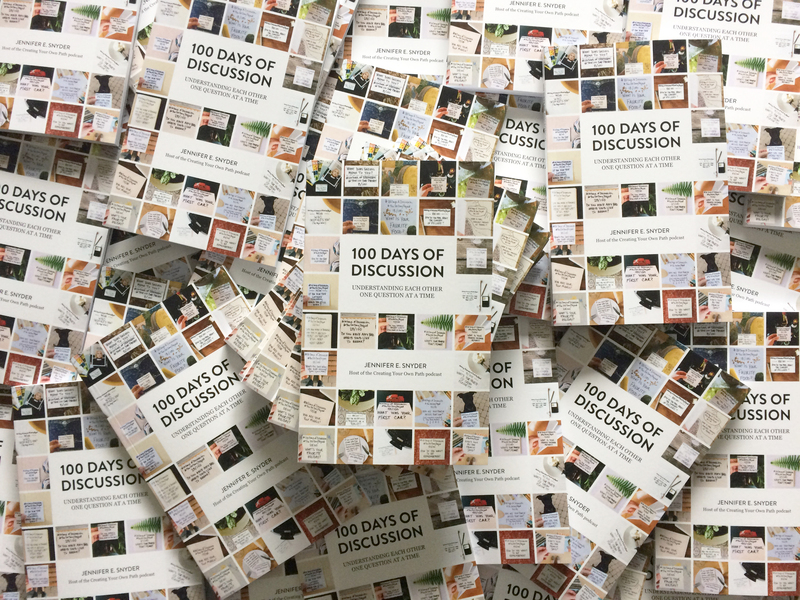 A: The book was an adaptation of my 100 Day Project from 2015, which was a daily Instagram initiative launched by artist Elle Luna and the team at The Great Discontent. My husband and I decided to participate by asking each other a question each day for the length of the project. Thus, 100 Days of Discussion was born! Since the project ended, people have reached out to tell me how they're still using the questions in their own lives and I wanted to create something tangible out of the project. So, I published a print book and a digital bundle (ebook + audiobook) that would help move the discussion prompts from Instagram into the physical realm. I had been wanting to create physical and digital products to help fund my CYOP Artist Residency and the book is just the first of many ideas in the works. Q: In addition to the podcast, the book, and a part time job , you also produce a newsletter and just this year introduced the CYOP artist residency. It seems like following ideas is something you are compelled to do. How do you balance everything? How do you know which ideas are worth the chase? A: Truthfully, I think that balance is a bit of a myth. My workload is always evolving and I try to plan big projects (like a book launch, for example) for times when I know I don’t have a great deal of freelance work scheduled. Sometimes I find myself working a more “regular” schedule and other times I need to hunker down and work some long hours to make a project a reality. Constantly creating isn’t glamorous and sometimes it can wring every last bit of energy from my bones, but for me it’s worth it. In terms of knowing which ideas or opportunities are worth exploring, I’ve learned to stop and listen to how each thing makes me feel. Is an opportunity causing unnecessary anxiety or drama in my world? If yes, it might not be the right move for me. Has something come up that full of unknowns? Are the unknown factors making me nervous? Are the unknowns something I can overcome? If yes, I know that the fear or nerves I’m feeling could mean that I’m onto something great. I haven’t always listened to my gut when making the choice to chase after something, but it’s served me well in recent years. Q: Knowing that Francis Ford Coppola very much created his own path, including forging a path for a family winery, is there one wine you feel a kinship to? A: Well, when it comes to wine, I buy what will be most enjoyed by those who are drinking it (usually me and my husband) and I’m a sucker for the Diamond Collection. The Cabernet Sauvignon and Pinot Noir are favorites at our place.